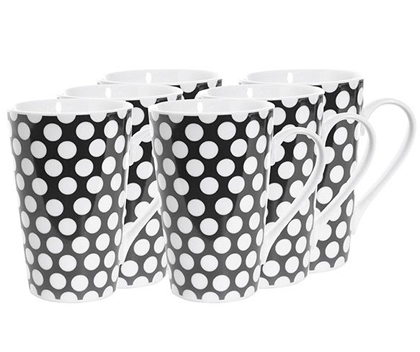 This set of 6 porcelain Cafe Polka Dots Black Mugs add a whimsical touch to your mornings. 14oz. $58.99 Sale $53. Free shipping. Buy here.